Last weekend, Yerba Buena Center for the Arts welcomed Robert Moses' Kin for their spring performance series: an evening that celebrated the past, present and future of this outstanding Bay Area company. A breathtaking chronology, the program featured three pieces from the past ten years - "The Soft Sweet Smell of Firm Warm Things" (2001); "Biography" (2003); "Speaking Ill of the Dead" (2006) - alongside the world premiere of "Helen", and excerpts from the upcoming "Scrubbing the Dog". Each of the five dance works demonstrate Moses' distinctive movement style and his rare, refreshing take on the relationship between content and structure in modern dance. His conceptual basis is always there, always present, yet never too obvious, which is good. 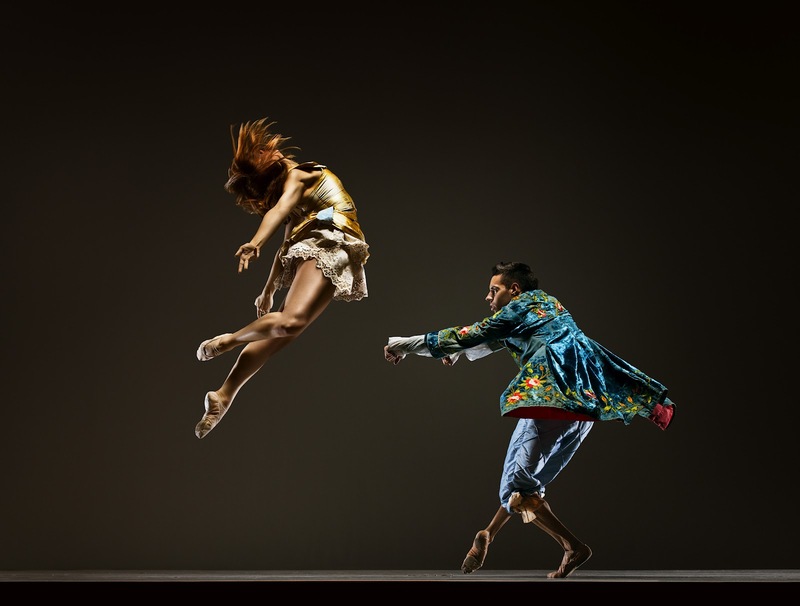 The message is housed deep within the technical elements of the dance; the two doing more than co-existing in the same space, instead becoming completely entrenched in each other. Of the five works on the bill, three were stand-outs for me. First, "The Soft Sweet Smell of Firm Warm Things" revealed the genius of Moses' staccato specificity. Each movement had an incredible clarity of intention, purpose and execution, with an obvious start, trajectory and ending point; no floppy positions or ambiguity in space. The physicality was exact. This brought a renewed metrical quality where even the spotting head in the pirouettes took on part of the rhythmic phrase. "The Soft Sweet Smell of Firm Warm Things" also played with elements of accumulation and individuality. The dance opened to find four women engaged in the same movement sequence, and then organically, they each began to accumulate different material and build on the original phrase. Although there were elements of a canon, it wasn't really a true 'round'; rather, here were different building blocks born from the same initial idea - almost like a tailoring of the choreography to technical strengths, personality and narrative cohesiveness. The excerpt from "Scrubbing the Dog", danced by Brendan Barthel and Crystaldawn Bell, gave an egalitarian message of searching, kindness and generosity. Paul Carbonara's folksy musical composition paired perfectly with Moses' pas de deux; a relatable, accessible feeling of community percolating from the stage. I am so excited to see this full-length work when it premieres in the company's summer season this coming June. 2003's "Biography" tackles race and cultural existence in the arts with challenging choreography and captivating light design, accompanied by a fitting soundscore (a 1961 talk with James Baldwin, Lorraine Hansberry, Langston Hughes, Emile Capouya and Alfred Kazni). The dance unfolded within various boxes of light around the stage (designed by Matthew Antaky). These 'shapes' created both real and imaginary boundaries - "Biography" examined these set parameters, how they came into being and what happens when someone dares to step outside them. Overall, the evening was a resounding triumph though there is a need for some of the dancers to spend a little more time on their spatial awareness and technical unity. I'm not saying that company members need to dance exactly the same, in fact, there is nothing more boring than a group of dancers who look like cookie-cutter versions of each other. Having said that, there is a big difference between dancing a solo and being part of a group variation. Sometimes standing out too much is not a good thing. I'm all for dancing full-out every moment you are on stage, yet, you must couple that abandon and passion with a larger sense of the group so that you don't look like you are soloing when you aren't supposed to be.